What better way to welcome 2018 by doing the 52 Weeks Money Challenge "again". 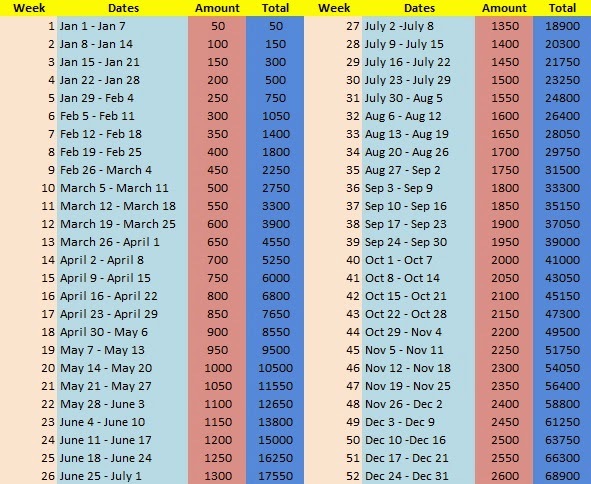 If you are still looking for a New Year’s Resolution or two, perhaps you could include this new saving habit. Trust me, I’ve done this as well as countless others who emerged successful and flawlessly completed the challenge. More than getting the desired amount by the end of 52 weeks, you are guaranteed to be able to come up with the habit of savings. And that is far more important because you get to value your money more. 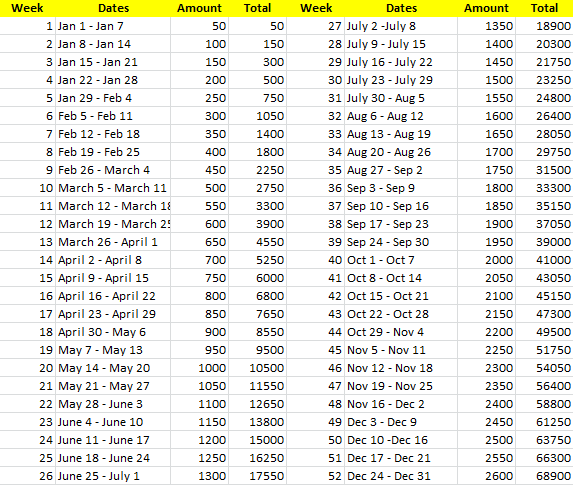 Hence, here are the varied 52 Weeks Money Challenge template to get you started. Embrace the challenge and start saving today! 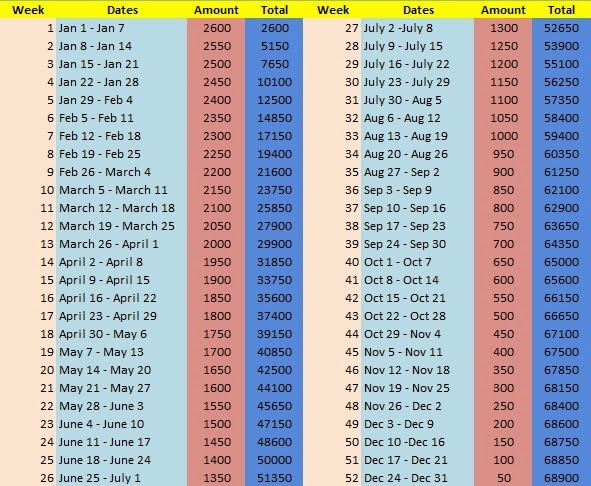 P.S To those doing the 52 Week Money Challenge, it is Week 1 already! Did you deposit the next amount yet?